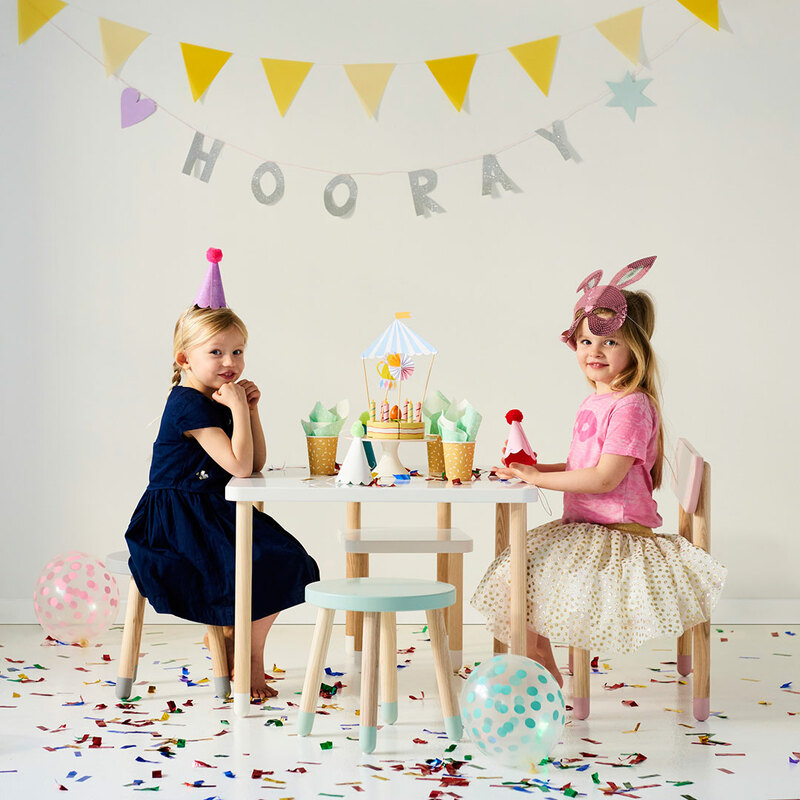 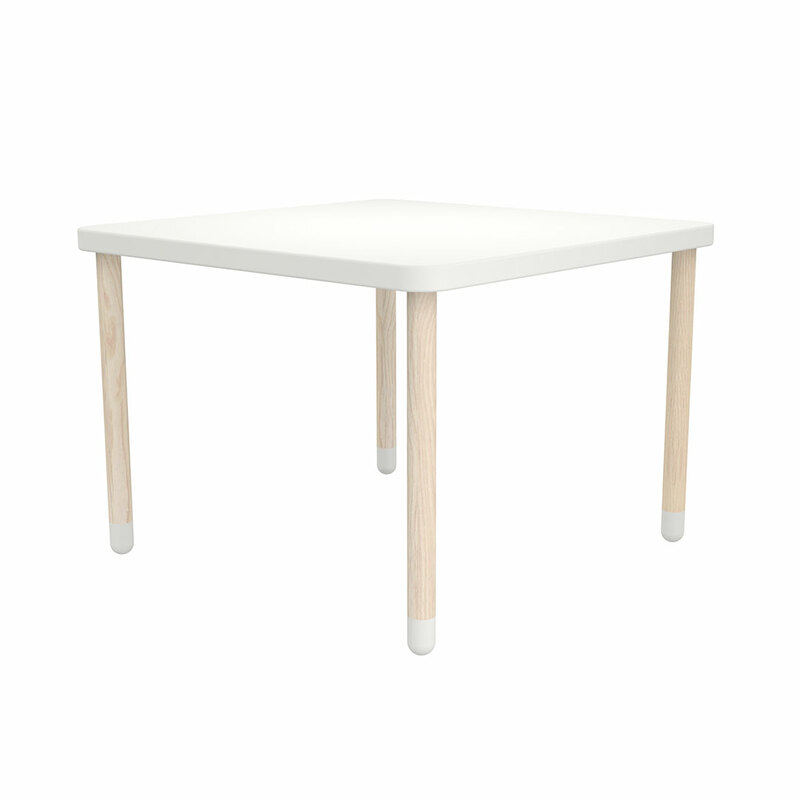 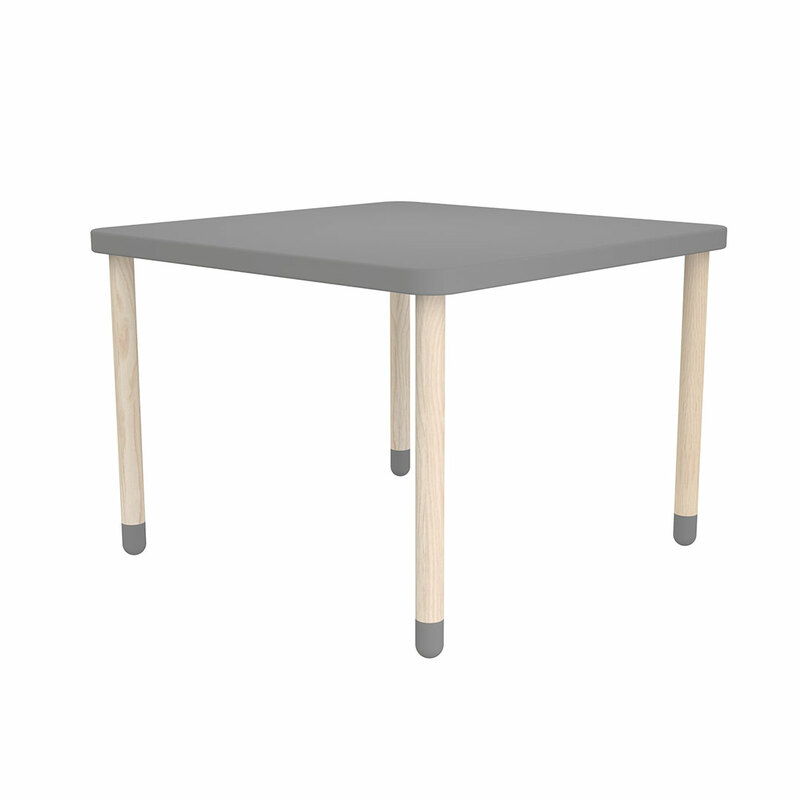 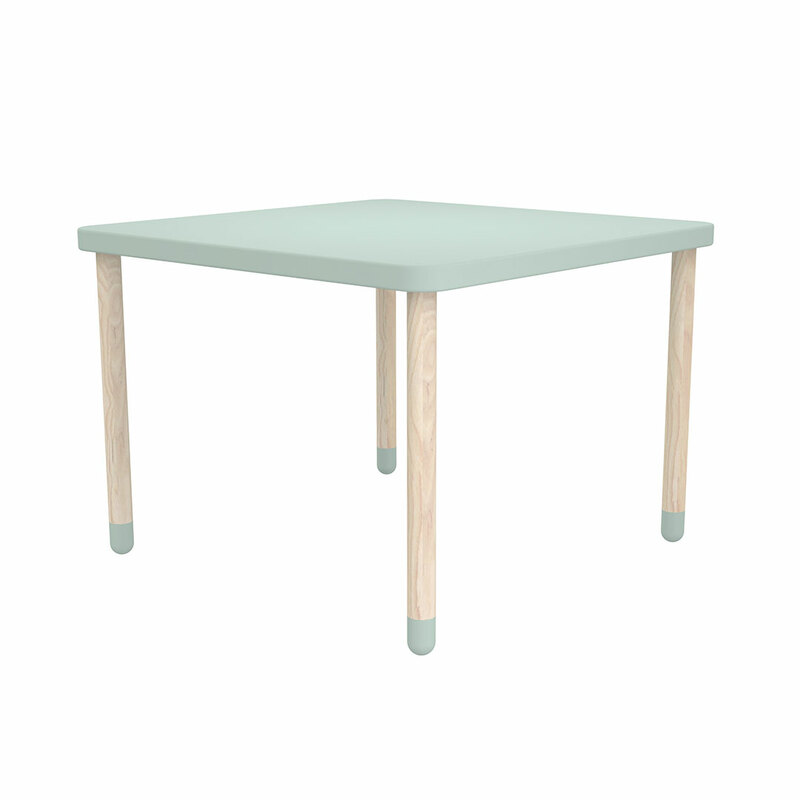 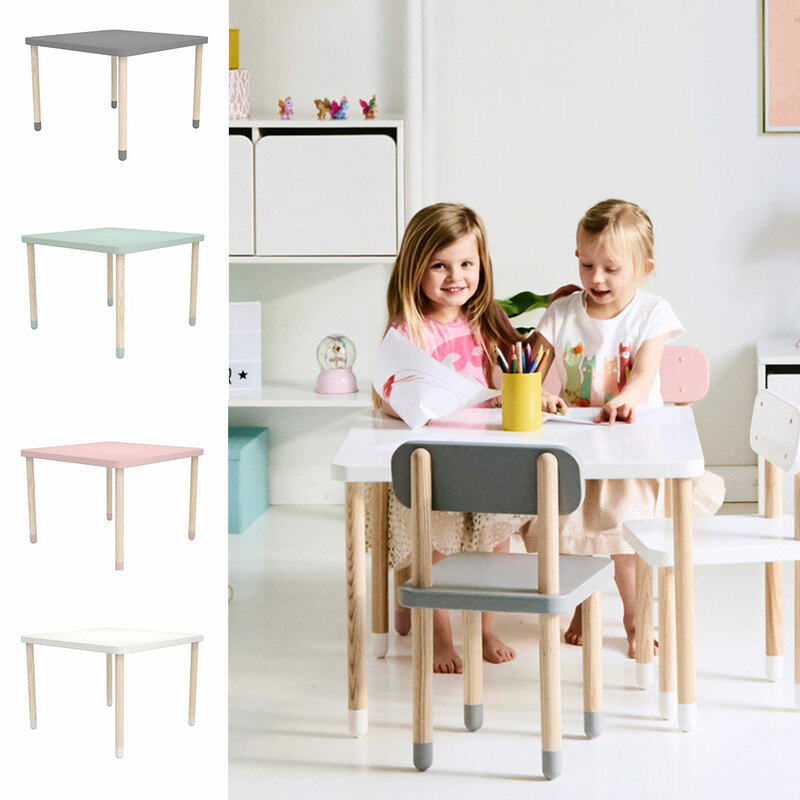 The fun Play Square Table by Flexa is ideal for group play, colouring in and mini tea parties. 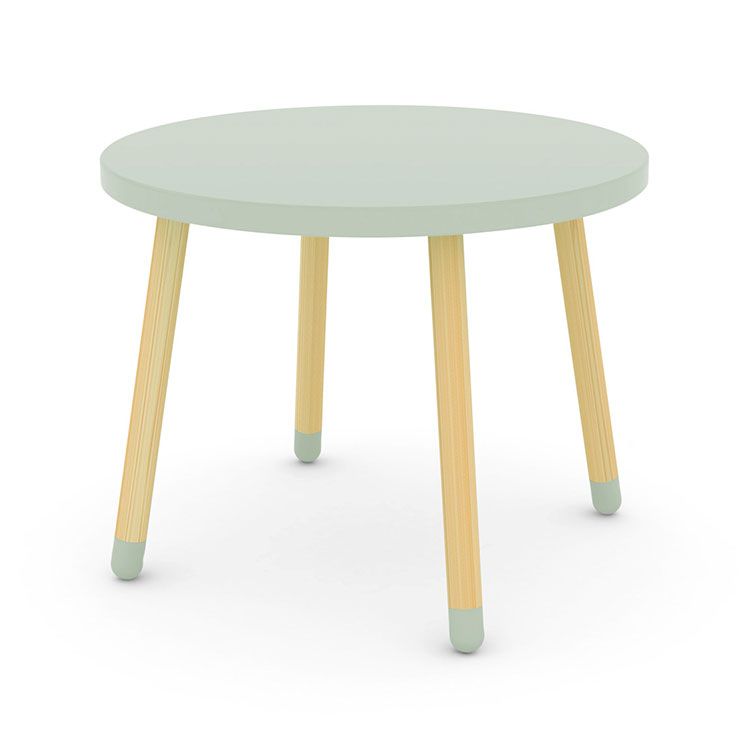 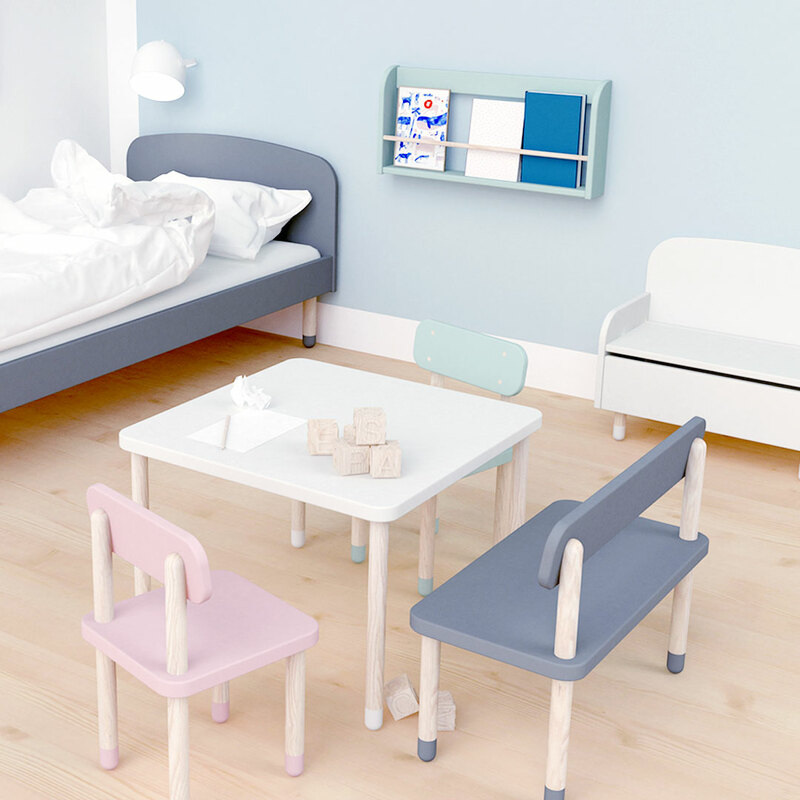 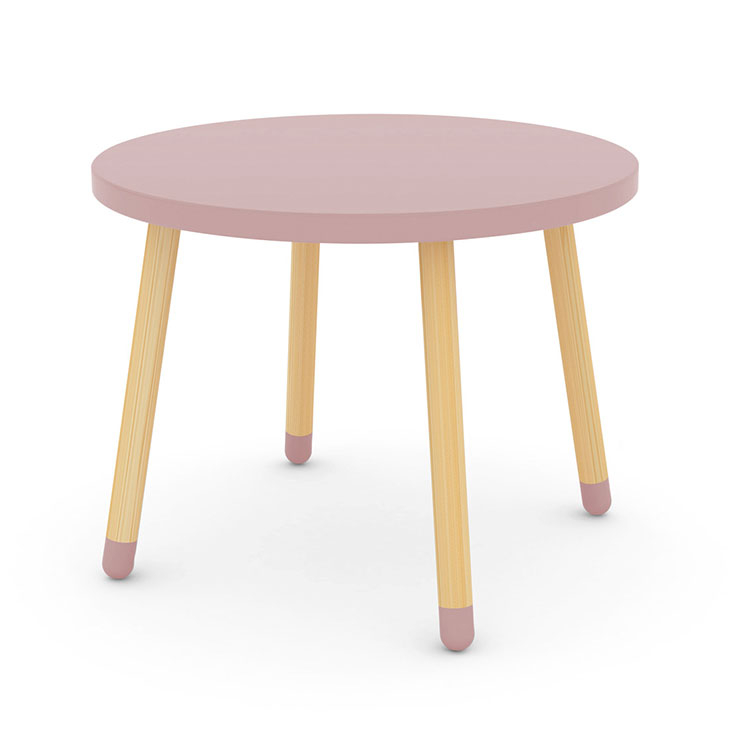 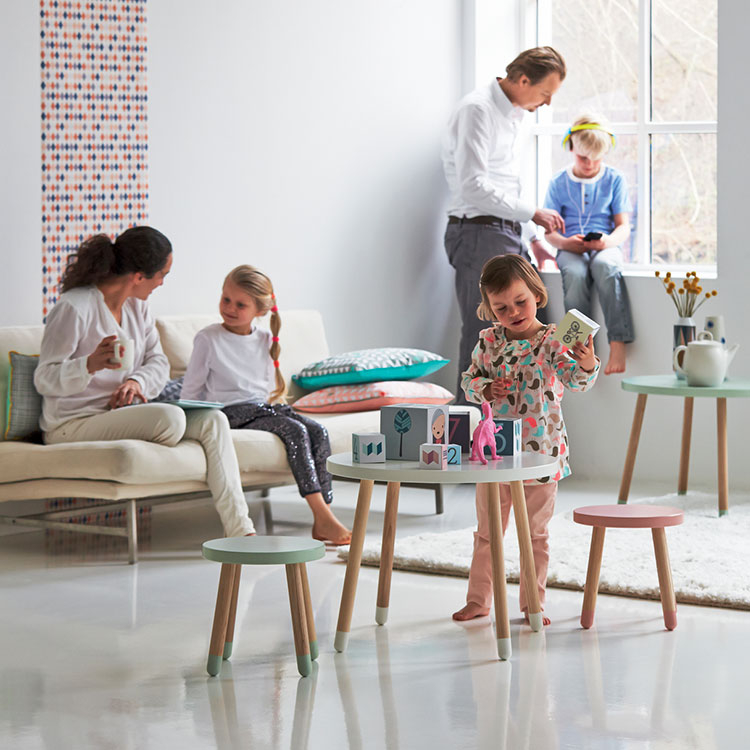 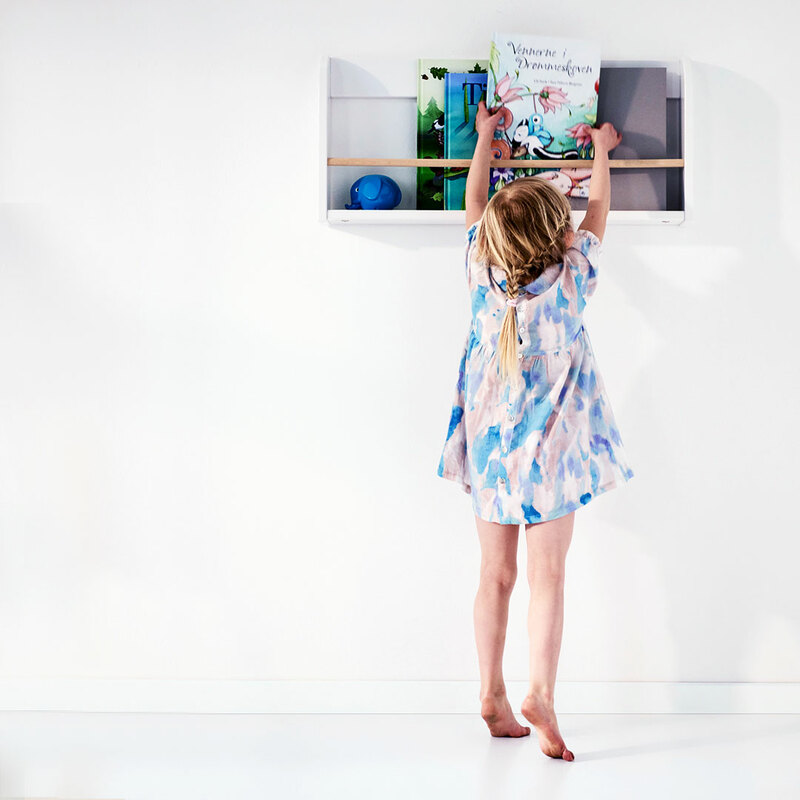 The organic shapes and funky pastels of the Play range combined with a strong Scandinavian design look will brighten up every child’s room, living area or playroom. 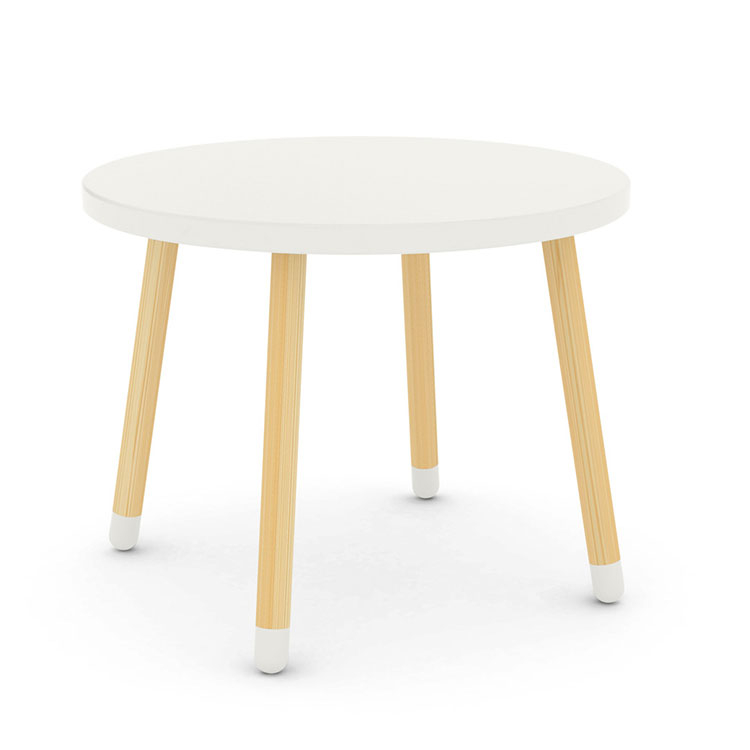 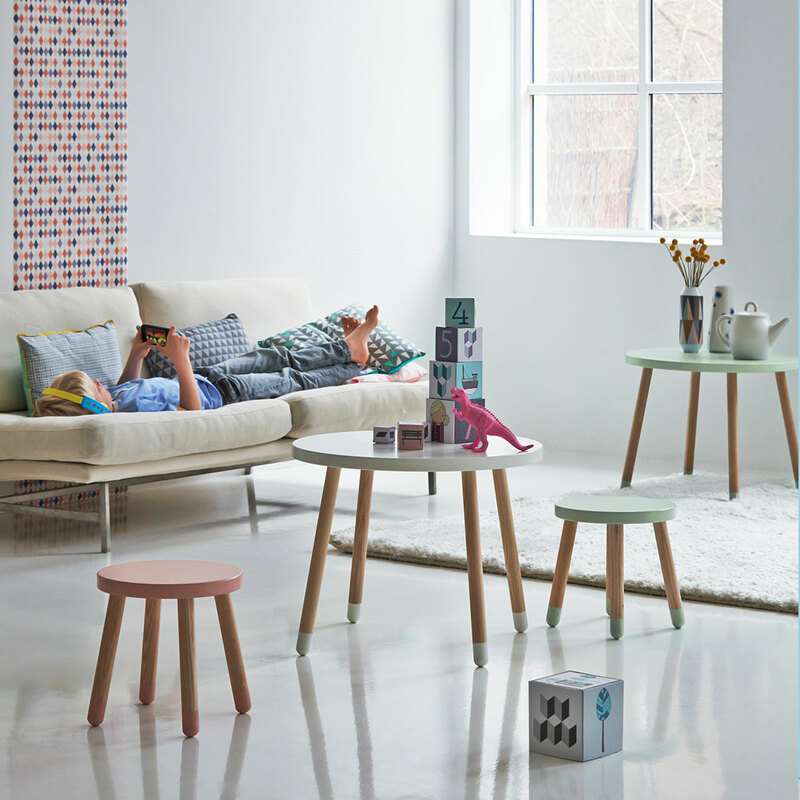 The beautiful legs made from the finest ash bring warmth and the coloured feet add a playful touch.